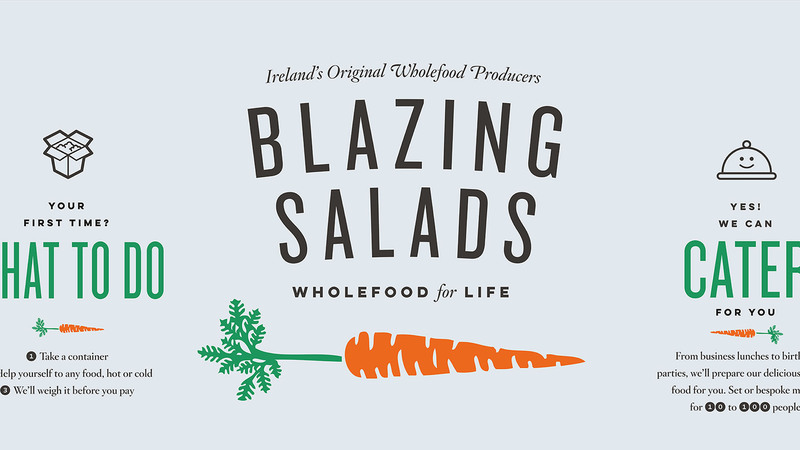 Blazing Salads, the original Irish Wholefood specalist deli wanted to freshen their store interior and in some way indicate what separates them from the numerous pretenders on the Dublin healthy-eating scene – serving Dublin since 1970. 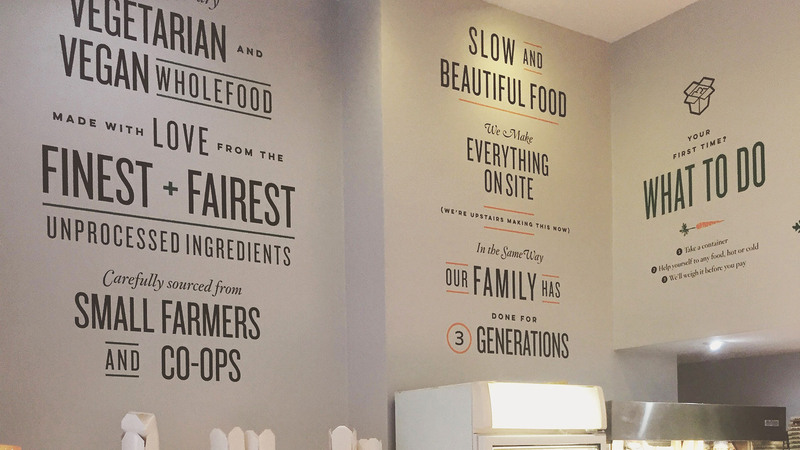 With a modest budget and a tight space to match, I wanted to showcase their trail blazing family culinary history, their organic-before-it-was-organic fare as well as a store guide in a tone of voice that reflected the Blazing Salads attitude. The only caveat, they insisted upon was updating their existing carrot graphic somewhere on the wall space. Looking at the rich culinary history of the Fitzmaurice family in Blazing Salads, I decided a simple typographic approach was the best way to impart a consderable amount of information in a busy & confined space – intergral to the success of the space was imparting both Blazing Salads USPs and working counter instructions to patrons with little time on their hands. Once the key information had been teased out & condensed, I worked with contrasting font families within a simple layout system until I had satisfied the key elements of the brief – a straightforward clarity; all natural ingredients; a friendly & approachable establishment with a rich heritage behind them. The graphics & typogrpahy were then rolled out to packaging and labels. 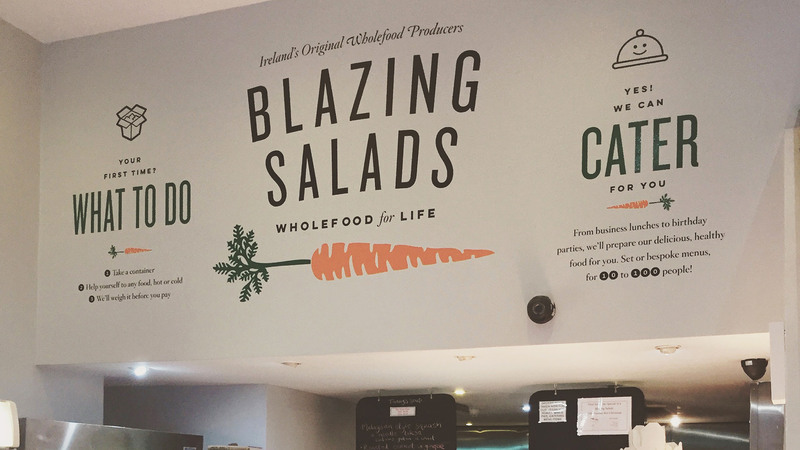 The addition of these simple graphics to the deli interior has had a hugely positive response from both staff and patrons alike.